Looks so delectable and yummy :) Protein packed dish!! 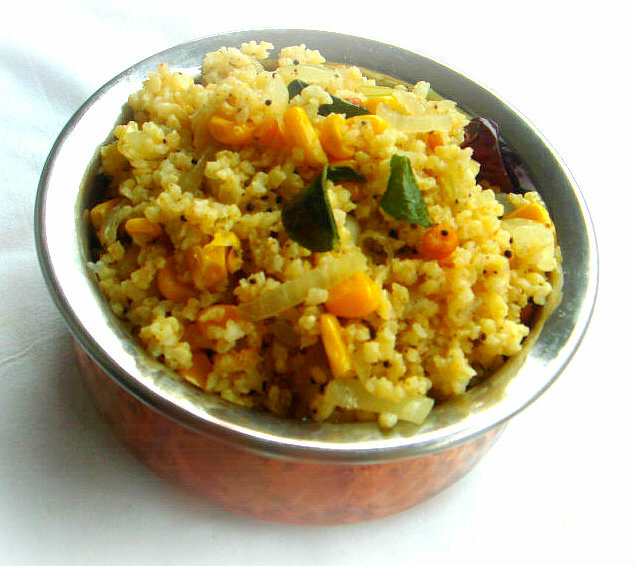 delicious and inviting bowl of upma.. Healthy with millet and nice variation with corn. Looks so homey. Seriously what is foxtail millet but I will search in the organic store !! Super healthy and tasty one !! I usually admire at all your attempt of diff flavor umpa... adorable priya..
Great dish! Looks quite delish! very colorful and healthy too.. Wonderful combination of upma. very yummy dear. Nice and different upma recipe...looks delicious..lovely colour makes it so inviting. Very interesting one..my MIL makes this for herself.. I never heard or seen foxtail millet, looks good the desi version! Un plat joliment coloré qui donne faim. Très gourmand. Millet is so versatile, I experiment with it too. Upma looks delicious. Healthy n yummy breakfast priya. I have to try whether I get this here. Looks so yummy and inviting..
Millet Upma looks so colorful. I actually need to learn so much from u..this looks wonderful! Full of protein packed Upma looks colorful and delicious. Healthy upma .. looks inviting. Can i make this with any millet seed. I get a organic millet seed in the store but it is not foxtail. Dr R, u can replace it with quinoa, any millet which gets cooked prefectly can be used in this dish, if they turns mushy u cant make this dish, so please use the millet thats suits for making this dish.